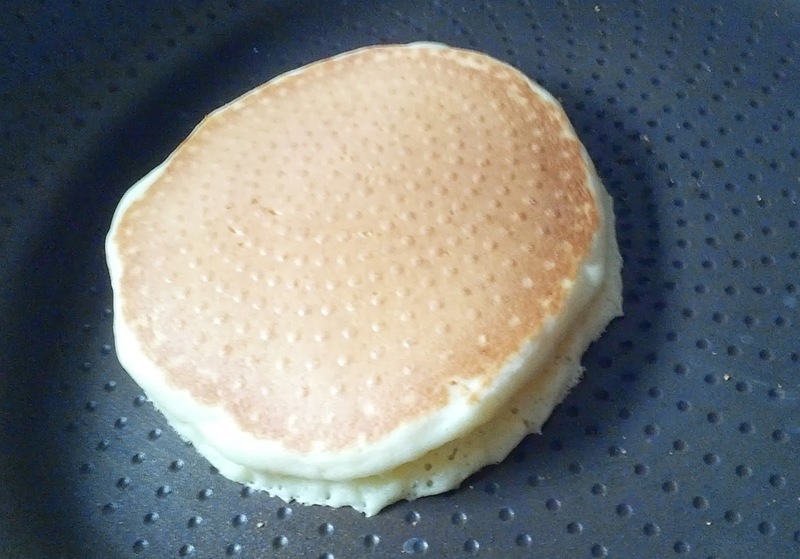 Because I live in China, I cannot go to the supermarket and buy a pancake mix so I have to make it from scratch. After using various recipes for the past few years, I decided that I would make my own recipe that was easier to make, remember, uses fewer cooking tools, and tastes delicious! Note: These directions don't have to be followed exactly. I do it this way to use the least amount of cooking tools as I can while minimizing preparation time. For example, I add dry ingredients first so that I can reuse the same measuring cup without cleaning it. If you add wet ingredients first, you will have to clean and dry your measuring cup before adding the dry ingredients (or use multiple cups; which I am trying to avoid). Add 1 1/2 cup of flour (just use the 1/2 cup 3 times) and 2 Tablespoons sugar to a mixing bowl. Add the rest of the dry ingredients to the mixing bowl that has the flour and sugar (1 teaspoon baking soda, baking powder, salt, and vanilla powder [if you don't have vanilla powder, you can add vanilla flavoring to the milk]). Mix everything together. Add 2 eggs and 2 Tablespoons oil to the milk. Mix until a consistent texture. Add the milk and egg mixture to the mixing bowl with the powders. Use the 1/2 measuring cup to pour your pancake mixture. This recipe is easy enough to memorize after you have made it once. I tend to make my pancakes rather large (makes about 8). 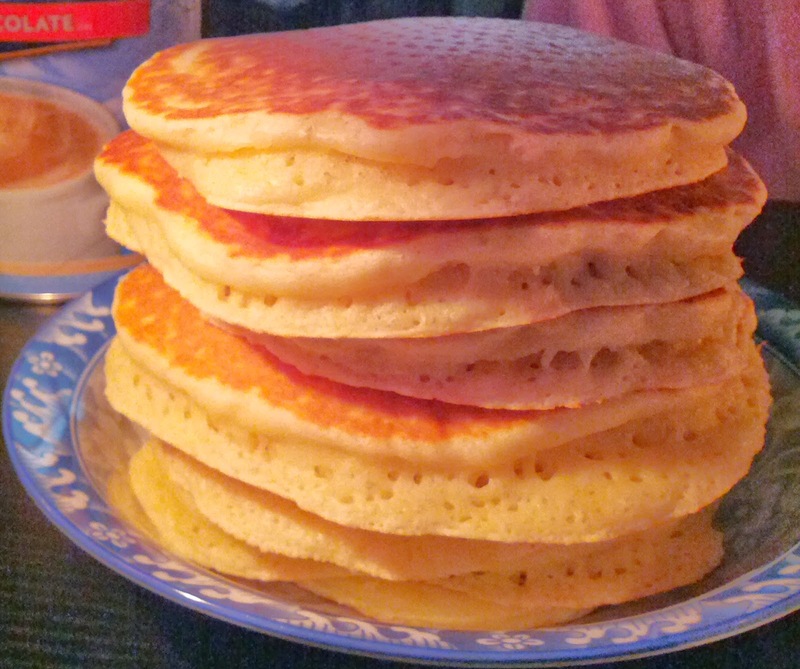 These pancakes are quite thick, so cook for quite a while on low heat. 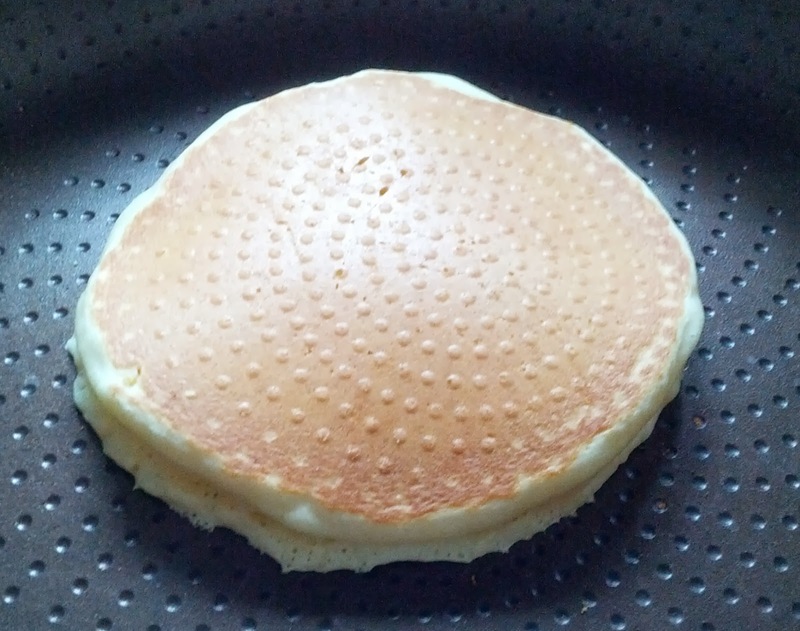 If you want to make the pancakes not quite as thick, add a bit of water.